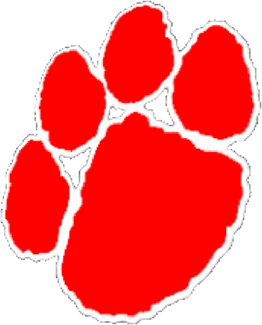 The Grand Blanc Bobcats Varsity Hockey team got their first win of the season Saturday against the Marysville Vikings in dramatic fashion. Marysville opened the scoring at 15:29 or the first period on a power play goal after Kevin LaHaie was called for tripping. The Bobcats answered back at 11:20 of the first period when Hayden Seguin found the back of the net on assists from line mates Owen Walker and Jacob Castro to knot it at 1-1. Marysville answered back at the 6:06 mark of the first to take a 2-1 lead to the locker room after the first period. In the second period, Grand Blanc’s Alex Mosqueda scored his first goal of the night to tie the game back up 2-2 with Kevin LaHaie assisting on the goal. The score remained tied until the 1:52 mark of the period when Marysville scored to take a 3-2 lead. Just 90 seconds later Marysville netted another one to make it 4-2 after the second period and put the youthful Bobcats in danger of losing their 6th straight game to begin the season. Between periods the coaching staff challenged the resolve of the young Bobcats stating the first goal of the 3rd period would be crucial and that the Cats would need to overcome a giant hurdle if they gave it up first. Kids were told…no matter what do not quit…..and Marysville came out and made it 5-2 at the 13:09 mark of the third. At a time when the Bobcats usually fade…they listened in the locker room between periods and stood firm. Alex Mosqueda scored his second of the night at the 10:44 mark on helpers from Jacob Castro and Alex Griffel to inch the Cats closer. Just 33 seconds later Mosqueda finished off the Hat Trick on assists from Griffel again and Freshman Defenseman Michael Heiberger to pull the Bobcats within a goal. Momentum was clearly with the Cats and just 1 minute later Senior Owen Walker netted the game tying goal from Hunter Bankstahl and Heiberger. The two teams played back and forth hockey the rest of the way….until Walker netted the game winner with just 1:44 left in the game to cap off a 4 goal third period and give the Bobcats the first win of the season. Hayden Sequin was the lone assist on the game winning goal. Nick Hensley was in net for the Bobcats and stopped 32 of the 37 shots he faced most of which were in close. We were patient tonight and did not panic when Marysville scored that 5th goal. Proud of the way the Bobcats battled back and deserved that win. The Bobcats next play Davison at Dort Federal Credit Union Arena on Wednesday.